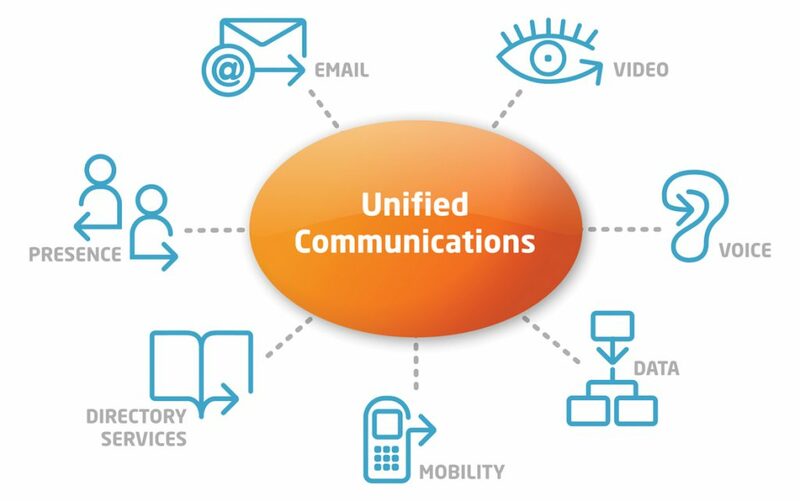 Unified communications (UC) is a MARKETING BUZZWORD describing the integration of real-time enterprise communication services such as instant messaging (chat), presence information, voice (including IP telephony), mobility features (including extension mobility and single number reach), audio, web & video conferencing, fixed-mobile convergence (FMC), desktop sharing, data sharing (including web connected electronic interactive whiteboards), call control and speech recognition with non-real-time communication services such as unified messaging (integrated voicemail, e-mail, SMS and fax). UC is not necessarily a single product, but a set of products that provides a consistent unified user interface and user experience across multiple devices and media types. Unified Communications marketed by the PBX companies includes most of the above listed capabilities at significant costs, whether included in a Premised based or Cloud solution. Many of the features like Presence and Availability sound very appetizing but less than 2% of the workforce actually utilizes what UC has to offer. In most cases the value expected from spending the additional money is never realized. With some VOIP solutions it is an additional cost to add UC features to the mobile phone. 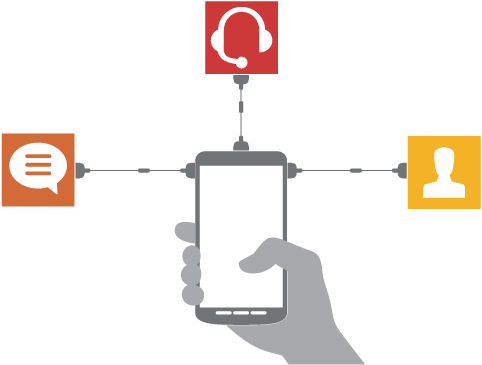 Todays Smartphone has most of the UC capabilities, but they are included in the basic cost of your mobile service. What is not included in the basic service can be added as a FREE download. I repeat most or all UC features at no additional cost. In short, all UC features are available with your smartphone without having to invest in an expensive VOIP phone system. The question becomes, why would I invest in a complicated VOIP and UC solution plus the IT expertise required to support it when I can get it for free with mobile technology without support costs. Zigee gives you a place for your smartphone to hang out for all Video and or Audio calls whether initiated from your smartphone or Zigee, while having the battery recharge. Users can check contacts, their status and click to call while the smartphone sits in the cradle.